AIIMS Delhi Faculty Recruitment 2018 notification is available now for 149 Assistant Professor posts and 1 Lecturer post. The thorough details of this notification is given below. So candidates check this post if you want to participate in this AIIMS Delhi Recruitment. 8th June to 9th July 2018, the application link is active @www.aiims.edu. A very important notification for the candidates who are waiting for the Assistant Professor jobs under the central government sector. That opportunity has come through you by means of the latest AIIMS Delhi Recruitment 2018 of 150 Faculty Positions. Among these 150 posts, 149 are Assistant Professor vacancies and 1 post is Lecturer post. For the selected candidates a good salary packages has been offered by AIIMS Delhi board. 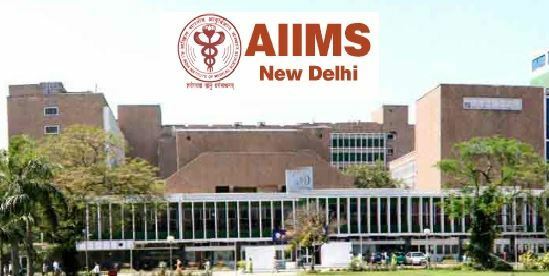 For these AIIMS Delhi Assistant Professor posts, the application form last date is 9th July 2018. But to send the hard copy of the application the last date is 24th July 2018. Check more details below. Recruitmentindia.in page gives you the full details of this notification. Maximum age is 50 years. Salary Range for Assistant Professor is Rs 101500-167400 and for lecturer is Rs 67700-208700. Well coming to the topics of the today’s latest recruitment notification sack, we are sharing the AIIMS Delhi Group A & B Recruitment Notification 2018-19 has added at the main website of All India Institute Of Medical Sciences, New Delhi @ www.aiims.edu, around totally 101 jobs of Group A (Non- Faculty), Group B are wiped out now, from 03rd May 2018 to 18th June 2018 all eligible seekers are invited to apply via online mode, the registrations are in opened now. Have a look those links which are placed in the below section. Time is getting up now, so the persons whose really interested to join in this organization just go with this recruitment notification now. The prospective candidate should have the minimum qualifications for Masters Degree, B.Sc nursing/ Hons in radiography, diploma in electrical engineering, matriculation from a Recognized University to apply for these jobs now. check the official notification to know more. On each head have to pay 100 rs via online mode. The All India Institute Of Medical Sciences, New Delhi has offered the new vacancies of 387 Senior Residents, Senior Demonstrators to the job seekers, who are interested to apply AIIMS Delhi Recruitment in online they can apply directly by using the provided links in the below section. From 26th April to 15th May 2018, the officials of All India Institute Of Medical Sciences, New Delhi has called the job seekers to registered for this AIIMS Delhi SR & SD Recruitment now. Check at the official website at www.aiims.edu. Whole online application forms are added now check at here. nursing officer apllication form not open plz i need help..